Transcript for a video about our report Governance of the National Security System. Transcript for a video about public sector financial assets and how they are managed and governed. Transcript for a video about using information to improve Māori educational success. Transcript for a video about the public sector accountability and complaints. Transcript for a video about our report Earthquake Commission: Managing the Canterbury Home Repair Programme - follow-up audit. Transcript for a video about the Global Audit Leadership Forum held in Wellington in March 2015. Transcript for a video featuring some of our staff talking about moving to New Zealand to live and work, and the Office's performance audit work. A transcript for a video about how we collected and analysed data for our performance audit about discharge planning for people who had been admitted to a hospital-based mental health inpatient unit. 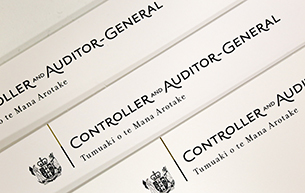 A transcript for a video about the Office of the Auditor-General's work auditing the Canterbury earthquake recovery.